Every company begins as the nimble startup, organized around the solution to a single customer problem and executing that solution better than anyone else in the market (including the incumbents with deep pockets). But at some point the hunter inevitably becomes the hunted and that nimble startup as it evolves and scales, eventually becomes that more complex (but capable) incumbent. Inevitably it finds itself so focused on capturing all of the business for its existing solutions, that it finds itself at risk of missing the next evolution in customer needs. The companies that last the longest, manage to fulfill existing customer needs with well delivered solutions, and identify new customer needs they can satisfy as customer needs (or wants) continue to evolve. But many companies fail to do so quickly enough, especially in our new reality where it is easier than ever to start and scale a solution around the globe with limited resources. Innovation is the key to remaining relevant with customers. Innovation is the key to remaining alive. It’s innovate or die, and this new reality leaves all companies focused on Winning the War for Innovation. This quest to win the war for innovation has led many organizations to begin hiring Chief Innovation Officers (CINO), Innovation Managers, VP’s of Innovation, or Innovation Directors. There is a right way and a wrong way to hire a Chief Innovation Officer (or other innovation leader). 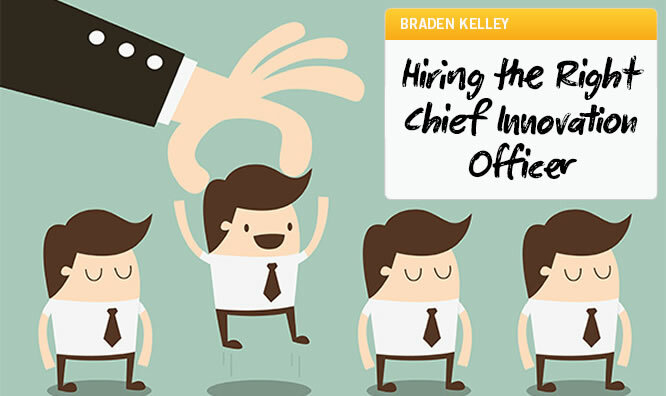 In this article we will look at the Do’s and Don’ts of successfully hiring the right Chief Innovation Officer. Being cognizant of the Don’ts will help you avoid hiring a Chief Innovation Officer before you’re able to help set them (and the organization) up for success. We are now ready to look at the Do’s, the characteristics, skills, and abilities to look for as you search for a great Chief Innovation Officer (and team). As I’ve written before in Time to Replace Your Innovation Officer, when we think about hiring a Chief Innovation Officer (CINO) or an Innovation Director, VP of Innovation, or Innovation Manager, it is important to view your innovation leader, not as the person responsible for innovating, but instead as the person responsible for enabling innovation, encouraging it, inspiring it, facilitating it, and coordinating it. In short, what you are looking for is more of an Innovation Enablement Leader. Curiosity drives innovation, and so the more curious people you have in your organization, the more innovation you are going to be able to generate. A good Chief Innovation Officer (Innovation Enablement Leader) can help cultivate a culture of curiosity. Amplifying curiosity in your organization is one of the most important improvements you can make in your culture. 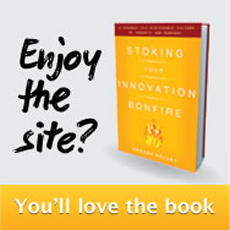 Many of my views on improving your innovation culture have been detailed in this white paper Five Ways to Make Your Innovation Culture Smell Better I wrote for Planview and in my popular book Stoking Your Innovation Bonfire. Innovation is about collecting and connecting the dots. A good Innovation Enablement Leader is good at building the connections inside (and outside) the organization that help to accelerate the gathering and dissemination of inspiration, insight, and the other elements crucial to effective (and sustained) innovation. Building on the idea of building a global sensing network (see #2), innovative organizations increasingly turn their attention outwards for innovation, recognizing that there are more smart people outside the organization than inside. This leads a good Innovation Enablement Leader to focus on Harnessing the Global Talent Pool to Accelerate Innovation. The job of an Innovation Enablement Leader (or Innovation Facilitator) is to serve the rest of the organization and to work across the organization to help remove barriers to innovation and to focus on the Seven C’s of a Successful Innovation Culture. This could also mean providing a set of tools and methodologies for creative problem solving and other aspects of innovation work, organizing events, and other activities that support deepening capabilities across the Seven C’s of Successful Innovation Culture. A good Innovation Enablement Leader will know when to create a new innovation in-house, when to partner with an external entity like a University, startup, supplier, or other organization, and when to license a piece of technology or to acquire another company or startup in order to realize the desired innovation result for the company’s customers. A good Innovation Enablement Leader knows which elements of the successful innovation they can best help to facilitate and where they need to call in help. This leads us nicely into #5. Too often we treat people as commodities that are interchangeable and maintain the same characteristics and aptitudes. Of course, we know that people are not interchangeable, yet we continually pretend that they are anyway — to make life simpler for our reptile brain to comprehend. Deep down we know that people have different passions, skills, and potential, but even when it comes to innovation, we expect everybody to have good ideas. I’m of the opinion that all people are creative, in their own way. That is not to say that all people are creative in the sense that every single person is good at creating lots of really great ideas, nor do they have to be. I believe instead that everyone has a dominant innovation role at which they excel, and that when properly identified and channeled, the organization stands to maximize its innovation capacity. I believe that all people excel at one of nine innovation roles, and that when organizations put the right people in the right innovation roles, that your innovation speed and capacity will increase. The Revolutionary is the person who is always eager to change things, to shake them up, and to share his or her opinion. 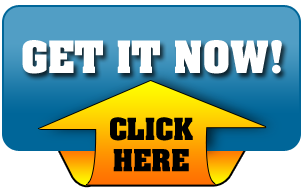 These people tend to have a lot of great ideas and are not shy about sharing them. They are likely to contribute 80 to 90 percent of your ideas in open scenarios. The Conscript has a lot of great ideas but doesn’t willingly share them, either because such people don’t know anyone is looking for ideas, don’t know how to express their ideas, prefer to keep their head down and execute, or all three. The Connector does just that. These people hear a Conscript say something interesting and put him together with a Revolutionary; The Connector listens to the Artist and knows exactly where to find the Troubleshooter that his idea needs. The Artist doesn’t always come up with great ideas, but artists are really good at making them better. The Customer Champion may live on the edge of the organization. Not only does he have constant contact with the customer, but he also understands their needs, is familiar with their actions and behaviors, and is as close as you can get to interviewing a real customer about a nascent idea. Every great idea has at least one or two major roadblocks to overcome before the idea is ready to be judged or before its magic can be made. This is where the Troubleshooter comes in. Troubleshooters love tough problems and often have the deep knowledge or expertise to help solve them. The Judge is really good at determining what can be made profitably and what will be successful in the marketplace. The Magic Makers take an idea and make it real. These are the people who can picture how something is going to be made and line up the right resources to make it happen. The Evangelists know how to educate people on what the idea is and help them understand it. Evangelists are great people to help build support for an idea internally, and also to help educate customers on its value. 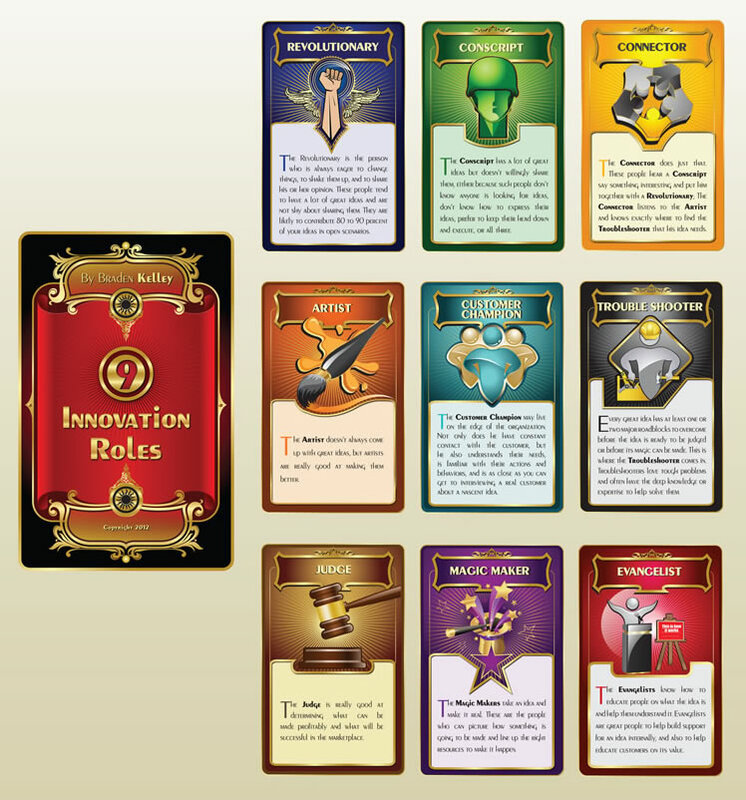 As you can see, creating and maintaining a healthy innovation portfolio requires that you develop the organizational capability of identifying what role each individual is best at playing in your organization. It should be obvious that a failure to involve and leverage all nine roles along the idea generation, idea evaluation, and idea commercialization path will lead to suboptimal results. To be truly successful, you must be able to bring in the right roles at the right times to make your promising ideas stronger on your way to making them successful. Most organizations focus too much energy on generating the ideas and not enough on developing their ideas or their people. A good Innovation Enablement Leader will recognize which of the Nine Innovation Roles they excel at and bring in other people into their organization that can help create a well rounded innovation team, and utilize the Nine Innovation Roles to build well-balanced innovation project teams during the execution phase. Successful Innovation Enablement Leaders typically will be strong Revolutionaries, skilled Evangelists and passionate Customer Champions, but they also must work hard to be an impartial Judge. At the same time, skilled Innovation Enablement Leaders will build strong relationships with the heads of strategy, digital, customer insight, research and development (R&D), new product development, and operations to both understand where to focus on creating new and differentiated value for customers, and how to create innovation that the company can successfully make, distribute, and support at scale. You are hiring an Innovation Enablement Leader (whether that is a Chief Innovation Officer, VP of Innovation, Innovation Director, or Innovation Manager) not to shepherd a single potential innovation project from insight to market, but to build a sustainable, continuous source of innovation, and a culture that reinforces your method for creating continuous innovation. 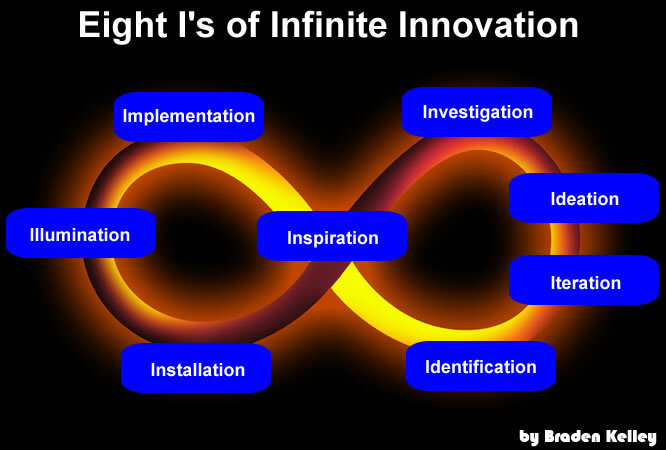 One tool I’ve created for all types of Innovation Enablement Leaders is the Eight I’s of Infinite Innovation™, which as you can see, places inspiration at the center of looping, infinite process (see #2). A good Innovation Enablement Leader excels at helping to define AND consistently communicate and reinforce the organization’s common language of innovation. 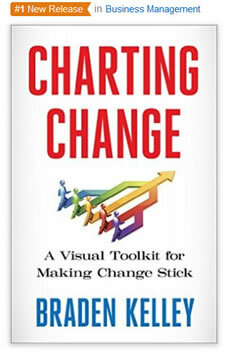 Several companies all around the world have purchased my book Stoking Your Innovation Bonfire in large quantities for their senior leadership team (and even substantial parts of their organization) to help build their common language of innovation, or brought me in to help facilitate innovation workshops and knowledge transfer to help jumpstart their innovation program. Are you seeking to control innovation with a Chief Innovation Officer or to facilitate it with an Innovation Enablement Leader? Ultimately, the responsibility for innovation should remain with the business, under an innovation vision, strategy and goals set by the CEO and senior leadership. It’s okay to bring someone in from the outside to help get things off to a strong start, to build a strong foundation, and to set your Innovation Enablement Leader up for success. Many organizations will want to have someone full-time on their payroll facilitating their innovation efforts, but as I’ll describe in my next post, some organizations may feel more comfortable bringing in a fractional (or part-time) Chief Innovation Officer (CINO) or Innovation Enablement Leader because of their size or their innovation maturity (or readiness), and that’s okay too. 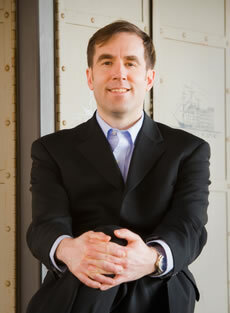 So, stay tuned for an article on fractional or part-time Chief Innovation Officers (CINOs), and keep innovating! P.S. If you’re looking to hire a Chief Innovation Officer (an Innovation Enablement Leader) on a full-time or part-time basis, drop me an email and I can either tackle the role or find someone else who can! 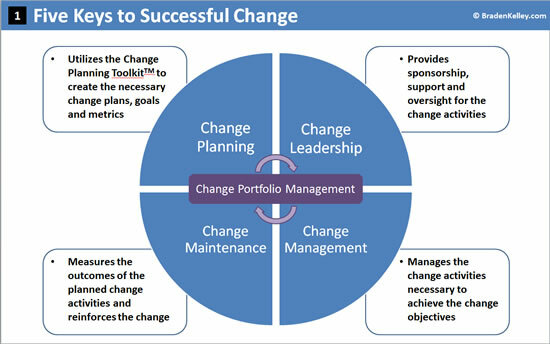 This entry was posted in Change, Innovation, Leadership, Management and tagged careers, Chief Innovation Officer, HR, Human Resources, jobs, recruiting. Bookmark the permalink.